Show off your ID badge with one of my custom-made hand-crafted heart shaped badge reels. 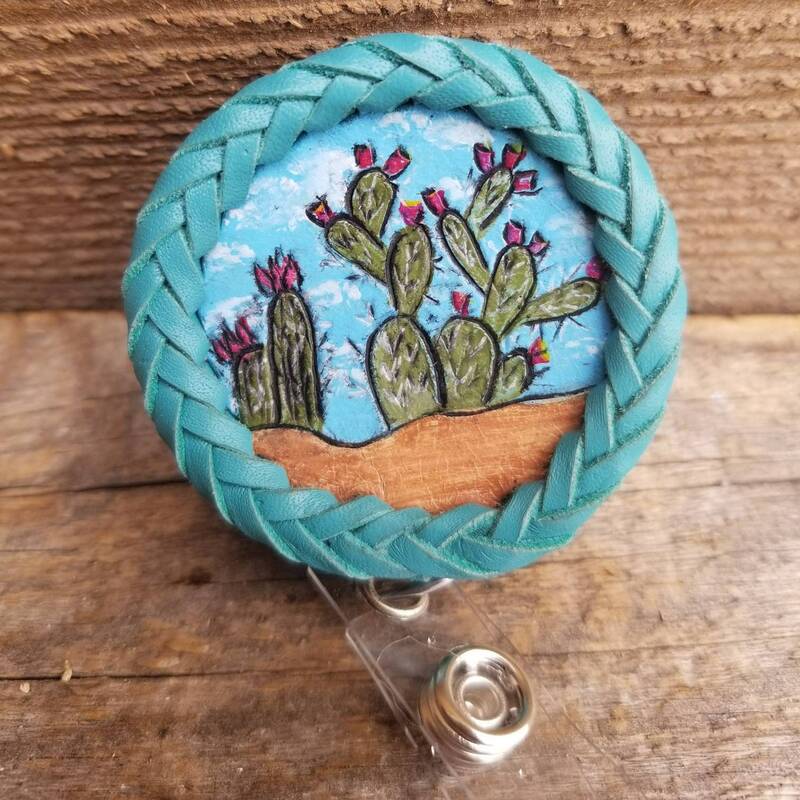 This darling hand painted cactus design is great for dressing up a boring ID badge holder. 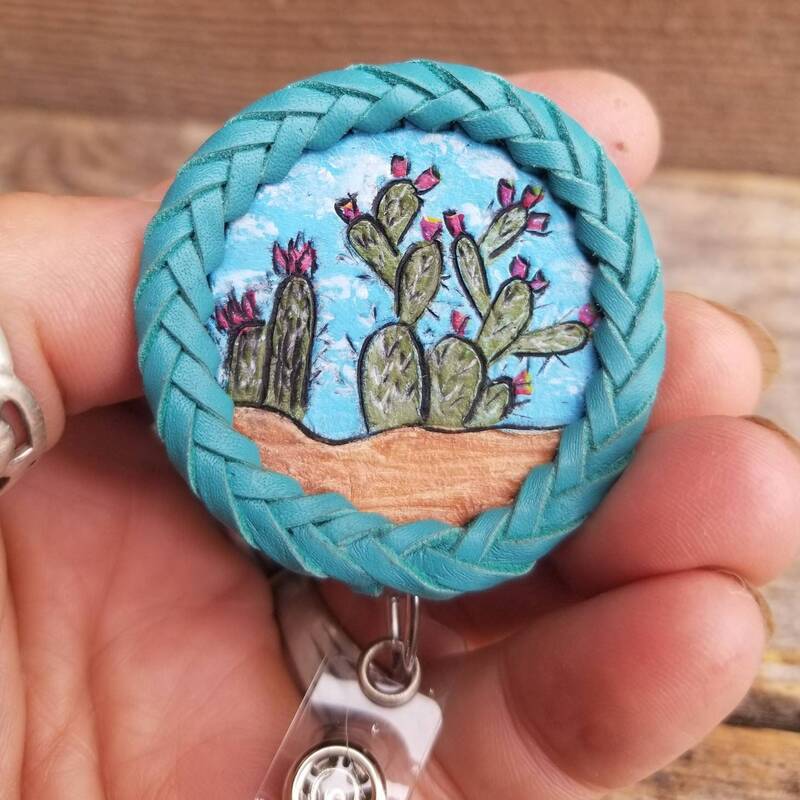 The round shape is cut from thin leather, tooled, hand-painted, backed and then laced with gorgeous turquoise kangaroo lace. The back of the leather is lined with turquoise pig skin suede. Once finished, the leather is then glued, using E6000, to a translucent badge reel. 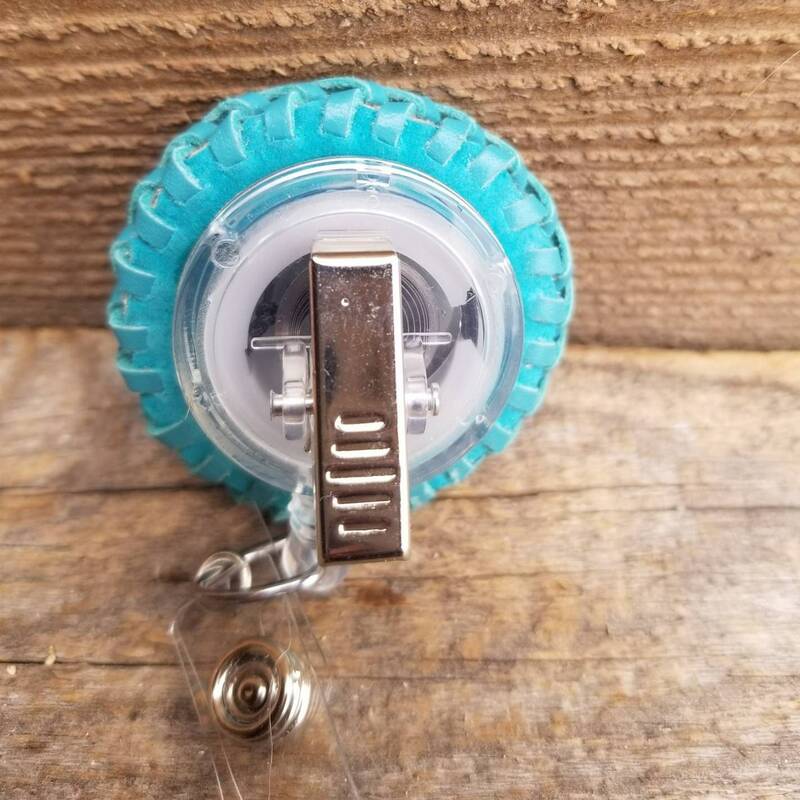 Interested in a custom reel badge? I have many, many available colors so let your imagination go wild!! They can also be tooled and stamped with other designs. Just send me a convo to chat about your ideas! !